Home / Famous Features: Surgery to Look Like a Celebrity? Famous Features: Surgery to Look Like a Celebrity? Many a celebrity are recognized for their famous physical features. Britney Spears’ nose, Kim Kardashian’s curvy backside, Angelina Jolie’s full lips. Is there a celebrity with a particular feature you admire? Maybe you have even sought out the help of a plastic surgeon as the result of being inspired by a celebrity’s famous feature. If you have, you are not alone. For decades patients around the world have clipped pictures out of magazines and tabloids of famous smiles, curves, and cleavage, bringing them to plastic surgeons in search of a new, improved look. Is this the right way to frame cosmetic procedures? Pictures of celebrities can be extremely helpful in the surgery planning process. In fact, many surgeons urge patients to bring in photos of features they admire. 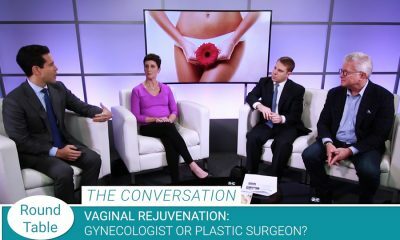 “I look at photos to get an idea of what’s in a patient’s head, what features they like,” shares board certified plastic surgeon Dr. Mark Epstein. One person’s idea of a specific look may be very different from another person’s description. For example, a patient may describe their goal for a breast augmentation as a natural result, then proceed to show a surgeon pictures of celebrities who have unnaturally large implants. For other patients, pictures can explain desires to a surgeon where words alone fall short. A patient may simply describe their nose as “too large.” However, if that same patient brings pictures of celebrity noses they admire, a surgeon may better understand their goal. The images may indicate they would like a tip that is slightly upturned, or perhaps smaller nostrils and a straighter bridge. Dr. Craig Colville of Ohio encourages his patients to bring in photos during the planning process. “I like it when they bring in pictures, I encourage people to bring pictures of what they like, and actually what they don’t like.” Using the pictures a patient brings and a mirror, the surgeon begins a dialogue. First, they discuss changes that would complement the patient’s features best. Next, they compare or contrast their features to that of the celebrity in the pictures they bring. While expert plastic surgeons like Dr. Epstein and Dr. Colville appreciate the value of celebrity images for surgery planning purposes, they are always very clear with their patients that the goal is not to match the patient’s resulting look exactly to any other person or celebrity. For Boston-based Dr. Sean Doherty, managing patient expectations is key. “When someone has a specific goal to attain, we really need to bring it to the right level,” he shares. “We have skills to manipulate tissue, but we can’t create new tissue.” There is a big difference between admiring a celebrity’s feature and wanting to have surgery to look exactly like them. The very definition of plastic surgery is improving, restoring, or repairing a person’s face or body with surgery. When a patient’s desire is not to improve their features, but to obtain someone else’s, it is a red flag. “I think if the expectations are like that, to match someone else, saying no is probably the correct thing to do,” says Colville. Everyone has insecurities. When those insecurities are physical, plastic surgery can be a useful tool to help improve a person’s look and outlook. However, when a person becomes obsessed with physical insecurities, psychological treatment may take precedence over surgery. Plastic surgeons spend time with patients during the consultation, prior to scheduling any procedure. During this time, the surgeon is checking to see that a patient’s expectations are realistic and that they are mentally and emotionally stable.